One way of how to set up KS4 learning in Year 10? This year, I finished my first two years of teaching on Teach First’s Leadership Development Programme. I said bye to my placement school and I now look forward to beginning work at Michaela Community School in Wembley Park from September. b) I did not know how to either. This is not to say that you should not set up each and every class. I say this because at my placement school, and this is the case in many schools if not all, is that you carry on teaching your Y10 class into the following year for Y11. The biggest impact I had was in setting up 10X1 (Set 1) with a well thought out two year plan. I do believe that KS4 is a 5 year plan but that is a different blog post. 10X1 are my favourite class. They taught me so much. They enabled me to be the best teacher I could be. There was not one lesson where I had not thought, at the end of the 60 minutes, that each and every of the 28 girls were exceptional, intelligent, confident and inspirational. I am going to share my success with 10X1 with you. It is valuable and it will help you prepare your Y10 class if you are just starting to teach this September, or even if you have been teaching for years. This sounds daunting and time consuming. It isn’t. Look at the topics that your scheme of work suggests for you to teach your class in Y10 and Y11. Restructure the order to ensure that each topic lends itself nicely to the next inasmuch as each concept taught previously can be developed or linked to the concept being taught next. 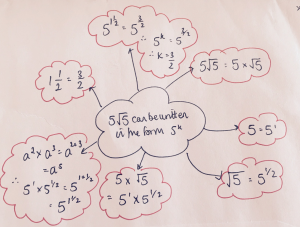 For example, teaching fractional indices before moving onto teaching surds. Figure 2 – Example of a Knowledge Framework outlining the factual and procedural knowledge required for students to attempt such a question. Also an example of a problem type where two concepts are linked. d) they are taught and given the time to practise unusual complex problem types, where the necessary factual and procedural knowledge is interleaved throughout the problem in question. I would really recommend for you to have a go at remapping and sequencing the different topics for the year and look at the first three topics that you will be teaching in half term 1. How are these topics connected mathematically? 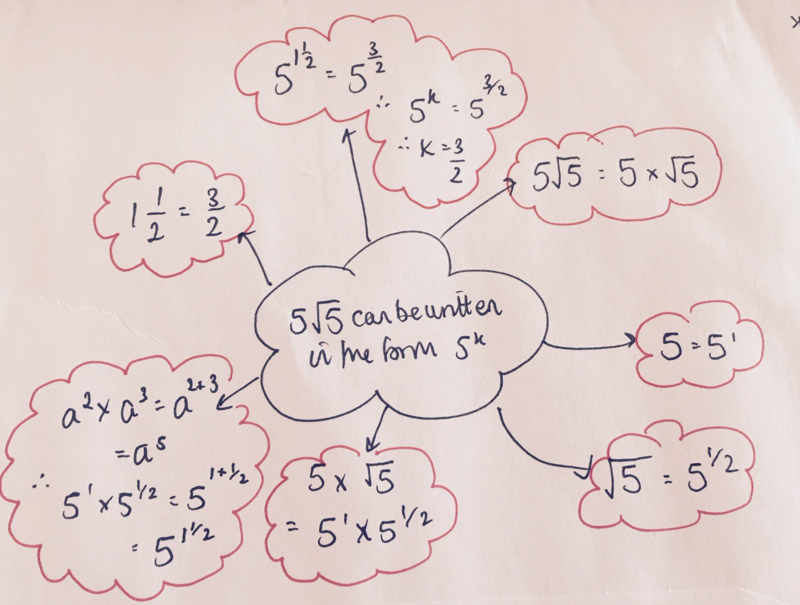 How can I teach these topics in an interconnected fashion so students can see the connection between index rules, index notation and surd notation, improper fractions and mixed numbers? How can I structure my teaching to enable essential recall and consolidation of prior knowledge necessary for students to access the topic being taught? What are the unusual problem types which I can expose my students to, in order for them to apply their knowledge of what has been taught in turn enabling them to think critically? My next blog post will outline the practical and consistent practice I put in place in order to allow students to retain their learning for the long term.